Dr Crimston, medical director of The Manse Clinic, is an experienced clinician who brings with him the professionalism and reliability of a committed practitioner with over 16 years experience in the health care industry. Dr Crimston holds a Medical Bachelor/Bachelor of Surgery and is a fellow of the Royal Australasian College of General Practitioners. 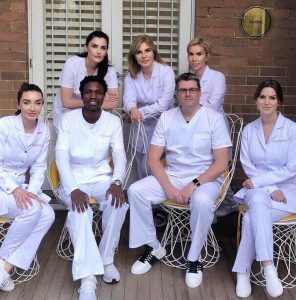 Additionally Dr Crimston is the cosmetic medical advisor for Ella Bache Australia and a long term member of the Australasian College of Aesthetic Medicine. Over the duration of his career, Dr Crimston has undertaken comprehensive theoretical and practical training in the field of Cosmetic Injectables. His techniques and clinical skills reflect the latest knowledge in the field of Cosmetic Medicine. Dr Stephen Crimston NSC, MBBS, BScN, FRACGP. Dr Jing is experienced at treating the asian face with injectables, she has expertise in the following treatments: dermal filler for forehead, dermal filler for nose, dermal filler for cheeks, dermal filler for tear troughs, dermal filler for chin, and also face slimming techniques. Dr Zia graduated from Medical School in 2002 . After the completion of his Bachelors in Medicine and Bachelors in Surgery, he migrated to the United Kingdom seeking post graduate specialization in Dermatology, and holds a Diploma in Clinical Dermatology from Cardiff University, Wales. Dr Zia’s interest in skin health and facial aesthetics stems from his keen observation of life from an early childhood. His developing mind in the early years could not help but be fascinated by the fact that happier faces flaunted a vibrant and glowing skin with pleasing angles of light reflection, as compared to the less happy faces. To date, he believes in practicing the facial aesthetics to achieve the harmony that reflects the best potential of an individual face. He wants every single patient of his, to smile at the person in the mirror every morning. Although he loves to work with the needle for facial contouring, volume replenishment, muscle relaxation and fat dissolving, he believes that it is the marriage between cosmetic injectables and energy based devices that achieves the visual brilliance of a face. He is well experienced in using laser and light based technologies for skin rejuvenation, skin tightening, skin peeling and full skin resurfacing. His clients have lovingly called him the ‘mole melter’ due to his non-surgical mole removal skills with the Radiofrequency technique. Dr Zia is a keen learner of new techniques in the dynamic field of Cosmetic Medicine and stays on top of evidence based academic developments by regularly attending Australian and International Conferences. He holds a Diplomate by the American Academy of Aesthetic Medicine. Dr Zia describes the art of Cosmetic Medical Science as his passion and wishes to take his career further in this field. He attributes his skills to all the teachers in his life and works in close collaboration with his mentors at the Cosmetic Physicians College of Australasia. Muscle relaxant and Neuromodulator accreditation – Allergan. Dr Delport graduated from the University of Stellenbosch, Cape Town, in 2003 with a Bachelor of Medicine and Bachelor of Surgery. She commenced surgical training in Obstetrics and Gynaecology before immigrating to Australia in 2012. In Brisbane she combined her love of surgery with her passion for skin health and studied Dermatology, Skin Cancer Medicine, Dermoscopy and Cosmetic medicine. She believes that healthy glowing skin is the corner stone of the “beauty journey” and having an in depth knowledge of skin is simply essential. Dr Elsa elected to specialize in cosmetic medicine with the Australasian College of Cosmetic Surgeons and was privileged to learn and work alongside industry leaders. She has wide experience in national and international presentations and is published in the medical literature. Dr Elsa’s cosmetic focus is primarily in facial aesthetics and anti-ageing, utilizing advanced injection techniques. Non-surgical rhinoplasty, profileplasty and lower third correction are amongst some of her favorite procedures. PRP and Platelet Rich Fibrin Matrix combined with laser technology is definitely one of her signature treatments and include hair, skin and genital applications. Dr Elsa’s extensive experience in women’s health uniquely enables her to address female genital and vaginal concerns and rejuvenation. Dr Elsa is a registered O-shot provider. Lasers, lights, radio-frequency, Ultherapy, acne scar treatments, chemical peels and lipo-dissolving, amongst others, are also in her armamentarium. Her guiding principle is that every patient deserves delicate care and attention with treatment tailored to each client’s unique needs and desire. Dr Adina was trained as a doctor in Romania and soon thereafter, left to explore the world. She has worked the last 20 years in Australia. While in Australia she obtained three fellowships: Fellow of the Cosmetic Physicians College of Australia, Board certification with American Academy of Aesthetic Medicine and Fellow of the Royal Australian College of General Practitioners. Dr Adina has been a leader in the non-surgical cosmetic field for over 15 years. She is one of Australia’s largest users of biostimulator, on the face and the body, for volumising, skin tightening and for cellulite. She is also the first Australian doctor to offer the short PDO threads, the popular Korean treatment. She is totally committed to helping you achieve your best look, which translates in skin clarity and beautiful contours. She loves all the injectables and is happy to go with the current trend or help you achieve your own personalised look, whether that will be natural or enhanced. She is a master in sclerotherapy and will help you achieve best looking legs in just a few short sessions. Dr Hooi has degrees in law, medicine and further specialisation in Emergency Medicine, he has a thorough grounding in all facets of acute medicine. Dr Hooi has long had an interest in skin. He became interested in cosmetic procedures in 1990 and has been performing chemical peels for over 20 years. Dr Hooi opened his first private cosmetic medical clinic in the beautiful Southern Highlands town of Bowral in 2008. Dr Hooi’s was admitted as a Fellow of the Australasian College of Aesthetic Medicine in 2009. In 2010, Dr Hooi was selected to become the national trainer for the Fibropen System and platelet rich plasma (PRP). Dr Hooi regularly presents workshops on platelet rich plasma (PRP) and has been an invited speaker at a number of domestic (LCMC, Cosmetex, A5M) and international (Biobridge Venice) conferences on aesthetic medicine. Dr Naomi McCullum, The Manse clinic founder, is a pioneer in the field of non-surgical cosmetic medicine. She started one of the world’s first Cosmetic medical blogs in 2011. For more than a decade, Dr Naomi has been regularly featured in the press. Her instagram account is the most followed in the cosmetic medical industry in Australia, and in the top internationally. Please read the article by The Daily Mail UK about Dr Naomi. Dr Naomi is a qualified cosmetic doctor. She qualified as a Medical Practitioner, and completed her internship at St Vincents Hospital, Darlinghurst. In 1999, she became one of the early members of the newly founded CPSA (Cosmetic Physicians Society of Australasia). When the CPSA became a College, (the CPCA) in 2015, Dr Naomi was admitted as a Fellow. Dr Naomi is also a Fellow of the Australasian College of Aesthetic Medicine. Prior to these non-surgical Societies becoming Colleges, Dr Naomi was examination certified as a Fellow in the Faculty of Medicine of the Australian College of Cosmetic Surgery from 2002-2014. In her early years, Naomi worked at the leading cosmetic/dermatology clinics in Sydney at the time. Dr Naomi credits much of her success to the gifted mentors she had at this time (1999-2002). Dr Naomi opened her first cosmetic clinic in Paddington in 2002, which she closed in 2016. She is working on developing a site in the CBD for use as a second cosmetic clinic. 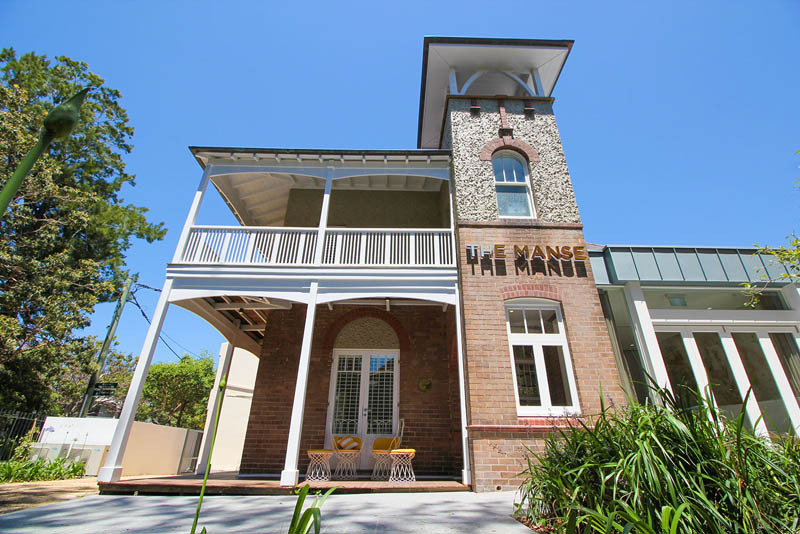 Dr Naomi opened The Manse Clinic in 2016, and now focuses on her role in management, social media and creating online cosmetic information for The Manse. In her spare time she enjoys reading, real estate, quality binge TV, fashion, design and hanging out at home with family. Dr Naomi has held 2 College Board positions in the cosmetic medical industry, including on the Board of CPCA (Cosmetic Physicians College of Australasia), and on the Board of ACAM (Australasian College of Aesthetic Medicine). Dr Naomi’s aim is for her social media to become the best information source online for cosmetic medicine, and to lead the way for a new era of transparency in the cosmetic medical industry. John specialises in skin booster, antiwrinkle injections, PRP and is the go-to practitioner for laser-peeling and resurfacing procedures, BBL, non ablative and ablative fractional laser, and laser toning with our Revlite Qswitched laser. John is a Bachelor of Commerce graduate, majoring in Finance. After years of attempted persuasion, Dr Naomi was able to poach John from his career in Funds Managment to work as the practice manager at the clinic. John brought his administrative skills to the practice. Since managing the practice, his interest in the field grew so much that he completed his Master of Nursing and moved from the administrative to the clinical side of the clinic. John enjoys every sport known to man, but soccer is his number one love. Alex is a laser therapist and makeup artist. She has been with The Manse clinic from its opening. Alex loves the cosmetic industry and is about to start her study to become a nurse injector. She is obsessed with beauty and helping people to achieve more confidence through improving their skin and appearance. Evette has a diploma in beauty therapy, and 14 years of experience. She is bright and bubbly and loves the Manse patients. She is very knowledgeable and passionate about helping clients reach their skin goals. Evette loves results driven treatments and the cosmetic industry. Rima is a patient co-ordinator with over 9 years experience in the beauty industry. She has a strong passion for administration and all things cosmetic related. Rima has brought her perfectionism and meticulousness to the Manse. For more information about our doctors and their favourite injectables to perform, see this post.